« Urban Composting: how to convince your building that it’s cool. I am new to outdoor composting, so what I know about it comes from what I’ve read and learned from other people, mostly LESEC, and not (yet) from experience. A few people have asked me about the potential for rodents finding their way in to the bin. This was certainly a concern that we all had in my building and is part of the reason why we went with such a fancy bin – all galvanized steel and raised off the ground, etc. It strikes me that the bin sits in the same courtyard where our garbage bags sit waiting for a Thursday to roll around and, if I were a rat, I would bypass the compost and head for the easy-to-chew-through bags. But that’s just me (in rodent form). A bigger problem with a communal bin is the potential for someone to carelessly toss last night’s lasagna bolognese in with their compost waste, ruining the whole batch. We are fortunate in that we live in a small, academic building where all of the residents work and study at the same institution and I am hoping that will translate into a greater sense of communal responsibility. That said, we are starting small with just a few apartments and requiring everyone who wants to participate to go through an orientation. That doesn’t mean that some renegade academic won’t just start tossing stuff in on their own though, so I’ve put up a lot of instructional signage and the success of this endeavor remains to be seen. I think a communal system works best in smaller buildings where neighbors know one another. In large rental buildings with a high turnover, it would need to be something integrated into the building’s waste management system, and there are already companies out there who are starting to do this (Triangle High-Rise Building Composting Plan). Another amazing model is San Francisco’s municipal composting program, showing it can be done on any scale, really. It seems pretty simple, but for the whole thing to work in any compost (not matter what the size) you need the right balance of four essential components: Greens (nitrogen-rich materials), Browns (carbon-rich materials), Water and Oxygen. non greasy food scraps or leftovers rice, pasta, bread, cereal, etc. Interestingly enough, the information page for the Jora JK270, says that you can actually compost meat and pet waste! While I find this fascinating, I’m not willing to give it try just yet. As I mentioned in my last post, I had to practically steal my browns to get the bin started, as they are the essential yang to the Greens yin. The optimal ratio of Brown to Green in any bin is 2:1, so I might have to do some more foraging this winter. On the other hand, in a pinch you can use things like shredded newspaper (soy-based ink only) and cardboard. Come to think of it, this may be the perfect job for all of the paper towel and toilet paper rolls that are piling up hoping I’ll do some kind of art project with them soon. Now they will have a higher calling. 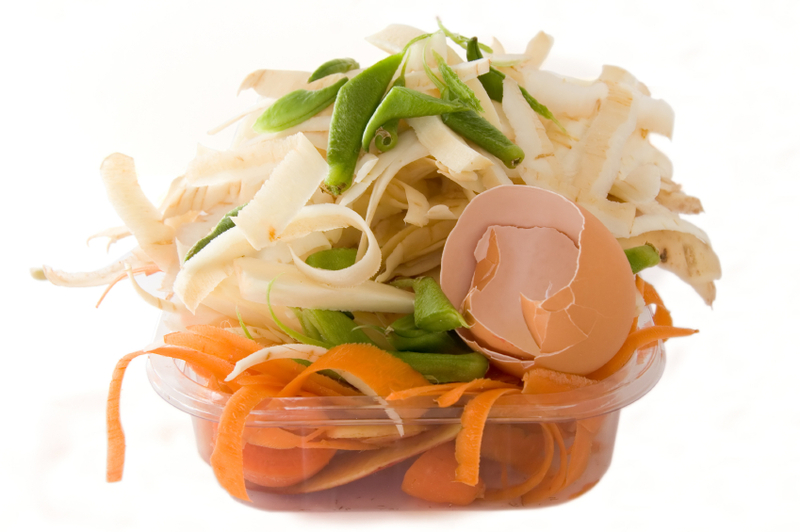 Some food waste counts as brown, too: egg shells, bread, and grains – you get the idea. Yard waste is generally brown, but lawn clippings count as green. The contents of your bin should be wet. But not too wet. I’m concerned my bin isn’t wet enough and, frankly, I still need to get the hang of this part. In a worm bin, you could control this with the amount of newspaper you add, but I’m hoping the weather will help take care of it outside. Adding air to the bin is done by turning the compost, which should be done frequently. The Tumbler model of bin makes this super easy (until it gets heavy and then it will throw your back out, I’ve heard). Our policy is that you spin the bin every time you add, but this may need to be modified down the road. Seems simple, but it appears that plenty can go awry, too. That, my friends, remains to be seen. Who knows what kind of gross photos of renegade compost could show up on this blog. This weekend, I’ll write about something I know a little more about: Indoor Composting with Worms. For a much more thorough outline of setting up an outdoor bin, take a look at the LESEC’s helpful guide: LESEC Outdoor Compost Guide. I would love to hear more about your experiences! This almost feels like a movement. This entry was posted on January 13, 2012, 6:37 am and is filed under garden, Green, inspiration. You can follow any responses to this entry through RSS 2.0. You can leave a response, or trackback from your own site. We tried composting with my Dad one summer and unbeknownst to the group he was throwing his meat scraps in the bin. We had the tumbler model which was easy enough to turn but after several weeks no one wanted to go near the thing and the balance was all off – thanks dad. My kids have required compost duty at school which is a great way to normalize the practice by starting young. The paper egg cartons compost really well also (brown category). Great post and good luck! Congrats! Hope you guys are well. Happy 2012.